Ford is working with MIT on a research project that will deploy a new fleet of on-demand electric shuttles that can ferry students from class-to-class both on campus and on city roads at MIT’s Cambridge, Mass. location. Students can hail one of three electric shuttles using an app on their smartphone, and a driver will arrive quickly to pick them up. The research projects hopes to shed light on pedestrian traffic patterns, using LiDAR and other sensors combined with data including weather info and class schedules to optimize the on-demand service. 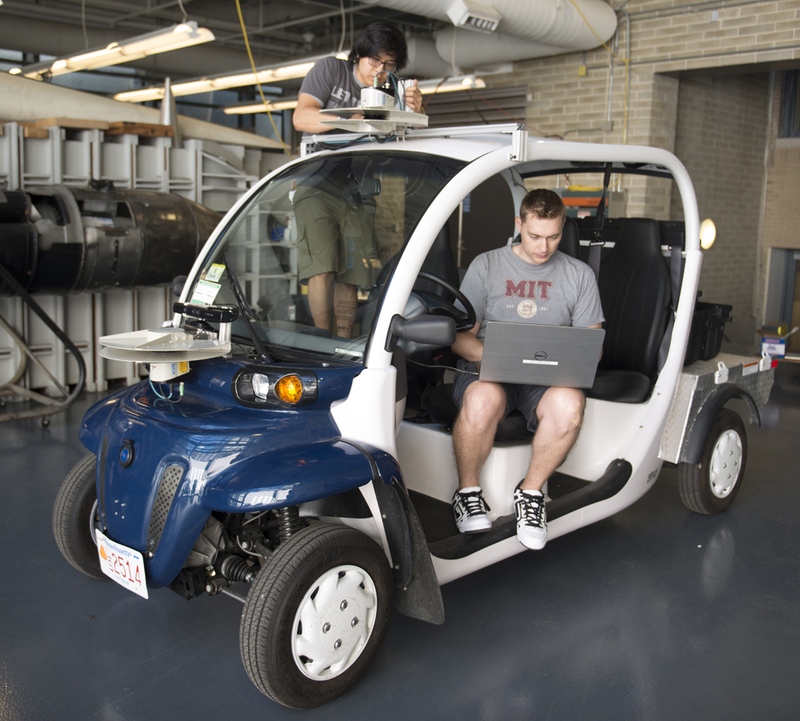 In addition to helping Ford improve its Dynamic Shuttle project, which currently operates fearing shuttles to employees at the car company’s Dearborn, Michigan campus, the collaboration with MIT will help with Ford’s general aim of exploring different kinds of future transportation under the Ford Smart Mobility umbrella. Specifically, though Ford is also looking to this phase of the project to examine how it can improve detection of pedestrians using lower resolution LiDAR systems than are currently employed in most LiDAR-equipped cars on the road. Getting better results from lower-resolution LiDAR systems has a number of potential advantages, including making hybrid self-driving tech less dependant on supplemental info provided by cameras, and potentially reducing the cost of production of self-driving vehicles, which would make producing them at-scale more viable for car makers and using them more affordable for car owners or passengers in a shared system. This research project provides a safe way to test lower resolution hardware since a driver remains in control and the environment is more controlled than a city roadway, while still providing the benefits of a real-wold testing ground. The project is also looking to make the most of the resources available in terms of providing good car-sharing service to students actually using the shuttles. To that end, data about trips is gathered and then shared back to the research team for analysis, which is then used to optimize pick-ups, trip routes and drop-offs. Goodman says that data is being analyzed to accurately predict demand, which processed by algorithms that try to identify the best places for the shuttles to be positioned to maximize customer service. These locations are then fed back to drivers to inform their driving routine, and the process continues cyclically to try to achieve the best possible results regardless of time of day, weather conditions or other variables. Goodman said that the current phase of the project is scheduled to run through the end of this year, but MIT and Ford are already working on what the next phase or phases might look like. One of the next steps, he says, will be to replace the driver-operated electric shuttles (which Ford terms “mobility-on-demand” or MOD vehicles) with fully autonomous versions, and the data and learning acquired during this phase will be key to achieving that goal.